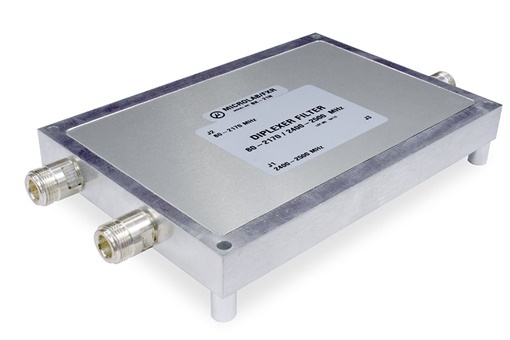 Microlab offers a wide range of broad and narrowband diplexers and triplexers to meet the rigorous demands of the wireless market. The focus is to provide extremely broad bandwidths, with minimum loss and low PIM. The most suitable design technique for such requirements is often the suspended substrate which has low loss and has the cost benefit of being tuned by design. Such units have become a very important building block in the combining of multiple signals being distributed in Distributed Antenna Systems, or DAS.